As usual, BARGE was hosted at the Horseshoe again this year. The banquet took place at the Golden Nugget. At the banquet, Linda Johnson and Steve Lipscomb gave us a sneak preview of a television show with which they were involved that would hit the airwaves a year later, the World Poker Tour. 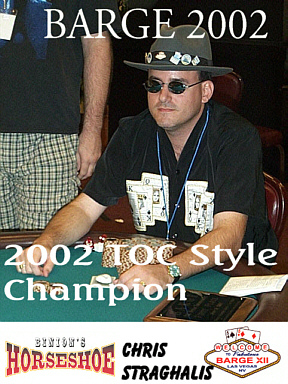 Mike McBride won the NL hold'em tournament. This was Peter Secor's first BARGE as an organizer. me any pictures taken at BARGE 2002 that you would like displayed here. Scott Harker (better known as "77 Boy") was kind enough to ADD the above to what he lost to me last year in last longer bets! 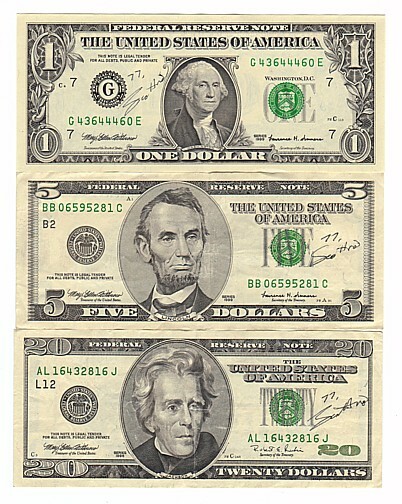 I now have the $1, $5, $10 & $20 in the "set"! 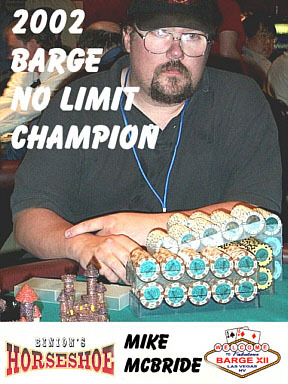 Below are the results from BARGE 2002! 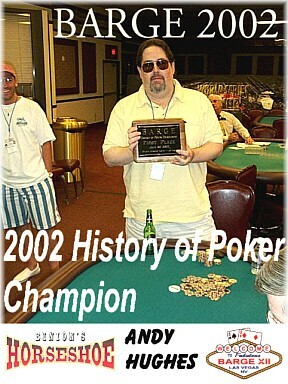 Binion's generously provided the final table in each event with a WSOP Jacket! In addition, PokerStars.com gave each winner of the BARGE events a beautiful leather & wool jacket!